I've been able to pay several visits to the Disneyland resort in the last few days, including watching the newly returned Main Street Electrical Parade and a colorful Friday evening. 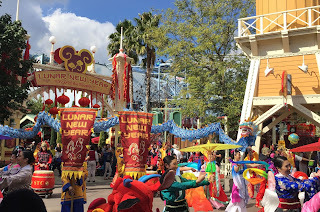 Yesterday my daughter and I enjoyed this year's Lunar New Year celebration in Disney California Adventure. Here are a few shots of the day! Click any photo to enlarge for a closer look. We've had a few blissfully rainy weeks here in California, with more expected soon. 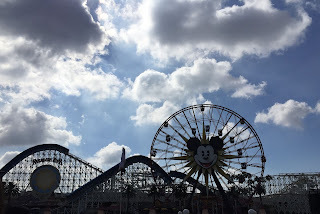 Love the interesting cloud formations which showed up in these pics. It's hard to tell given the lighting, but there's an acrobat doing a handstand in the center of this photo! Plus more great cloud formations. 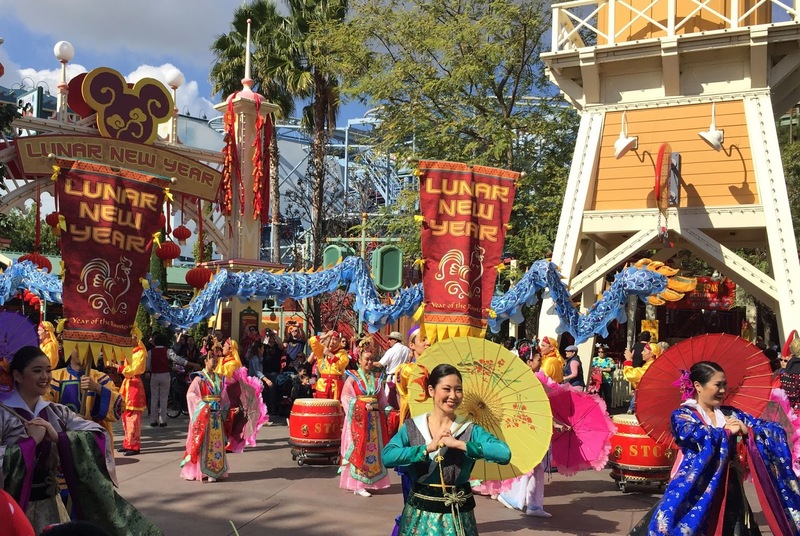 AP Days return to Disneyland this Friday, February 10th. I'll be visiting regularly over the next four weeks to collect a set a buttons celebrating the limited time return of the Main Street Electrical Parade. 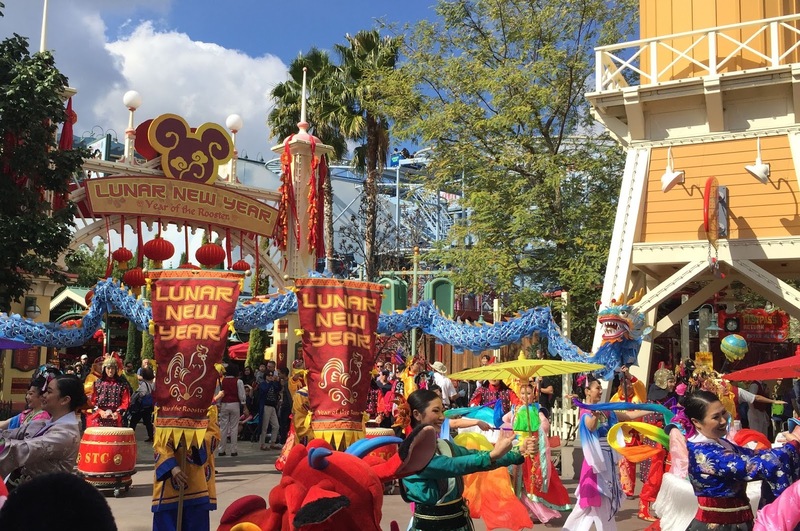 Previously: Today at Disney California Adventure: 15th Anniversary and Lunar New Year (February 8, 2016); Today at Disney California Adventure: Lunar New Year (February 21, 2015); Today at Disney California Adventure: Lunar New Year (February 1, 2014); Today at Disney California Adventure: Lunar New Year (February 10, 2013); Today at Disneyland: Chinese New Year (January 27, 2012); Today at Disneyland (February 15, 2008).